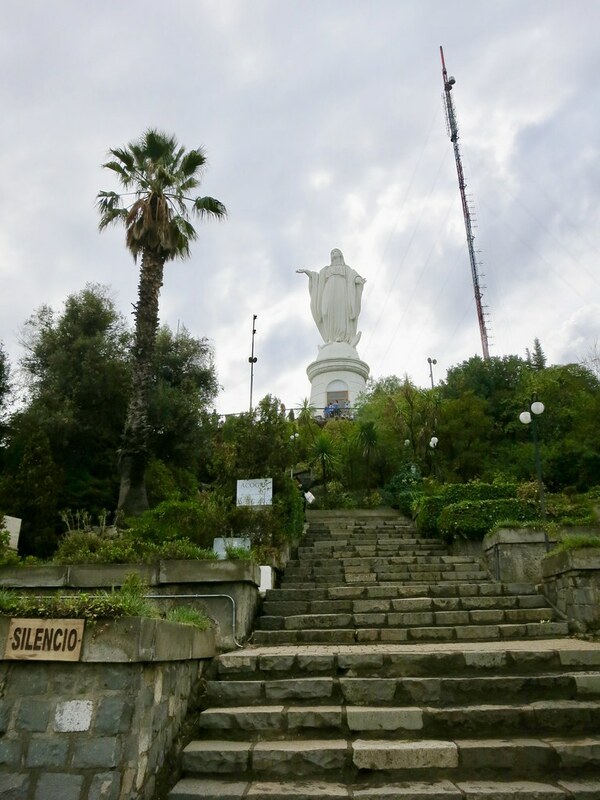 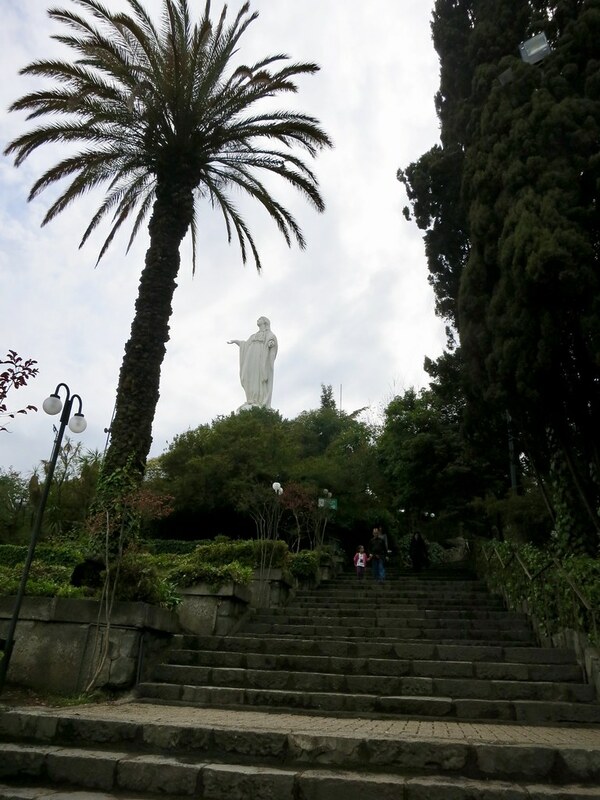 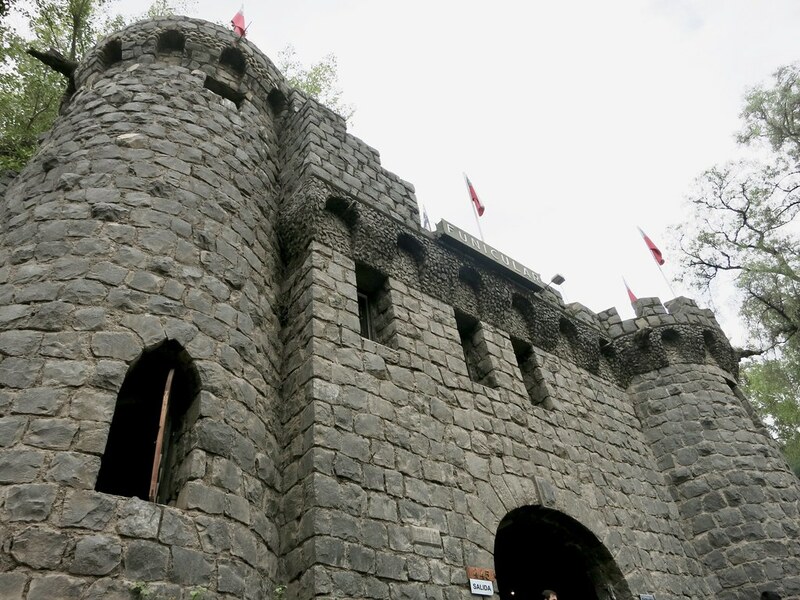 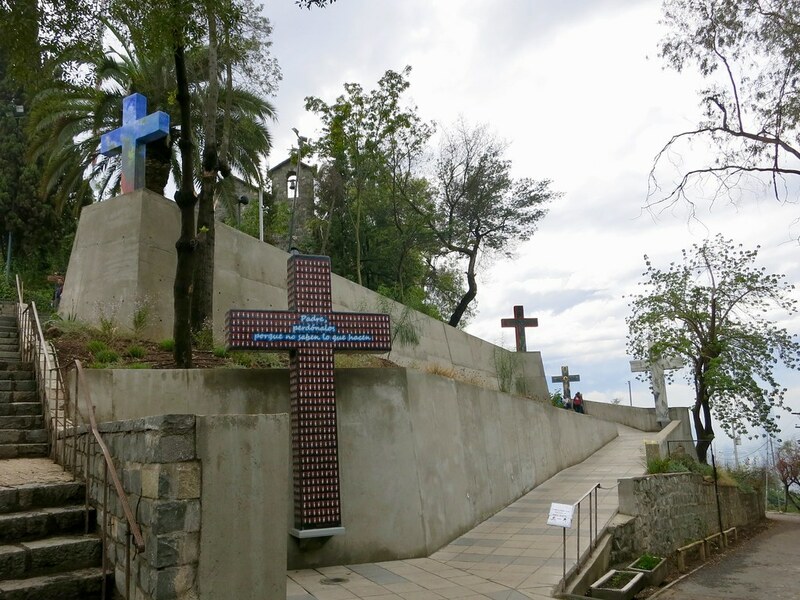 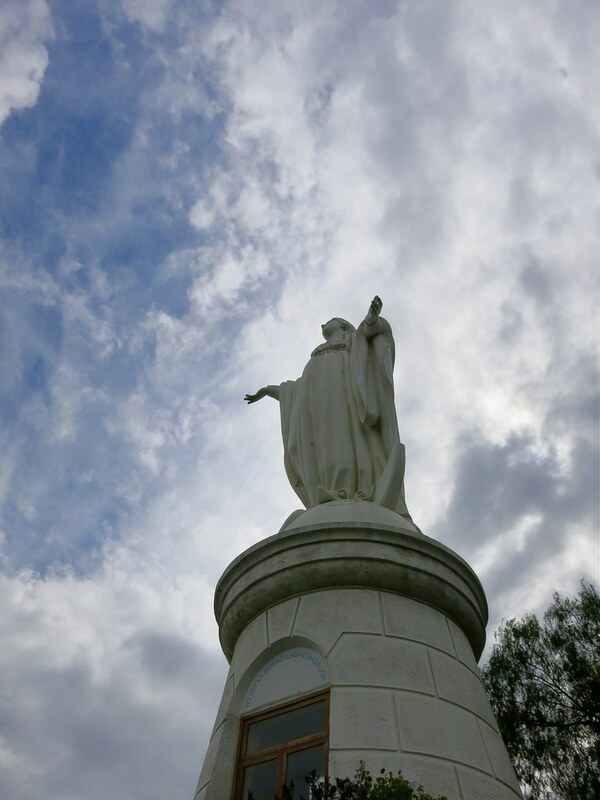 Cerro San Cristóbal (St. Christopher Hill) is a large hill in the middle of Santiago, Chile. 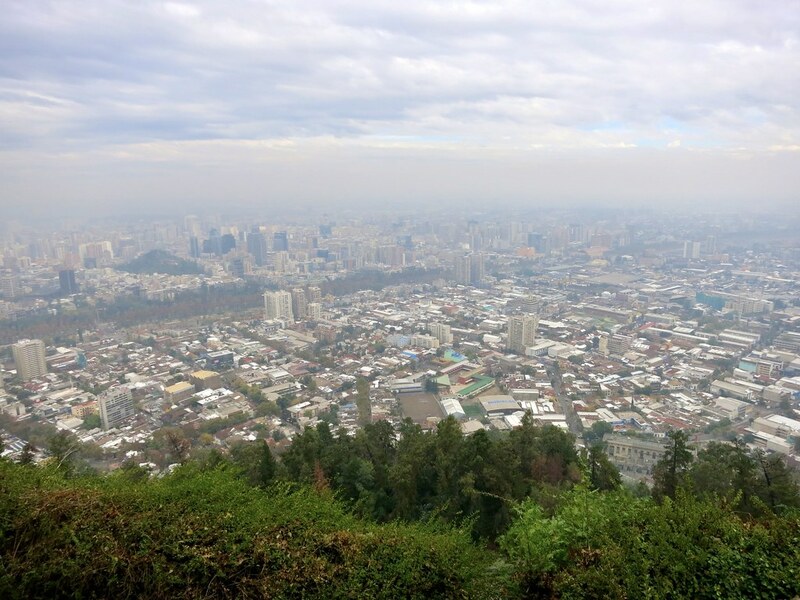 And on a clear day, you can get a spectacular panoramic view of the city and the Andes Mountains. 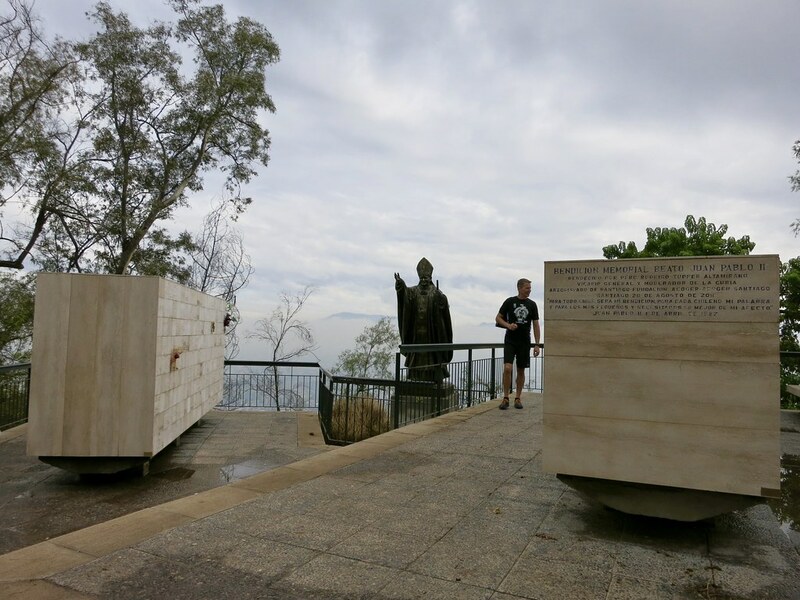 Obviously it wasn’t a clear day when we hiked to the top, but it was a worthy hike nonetheless. 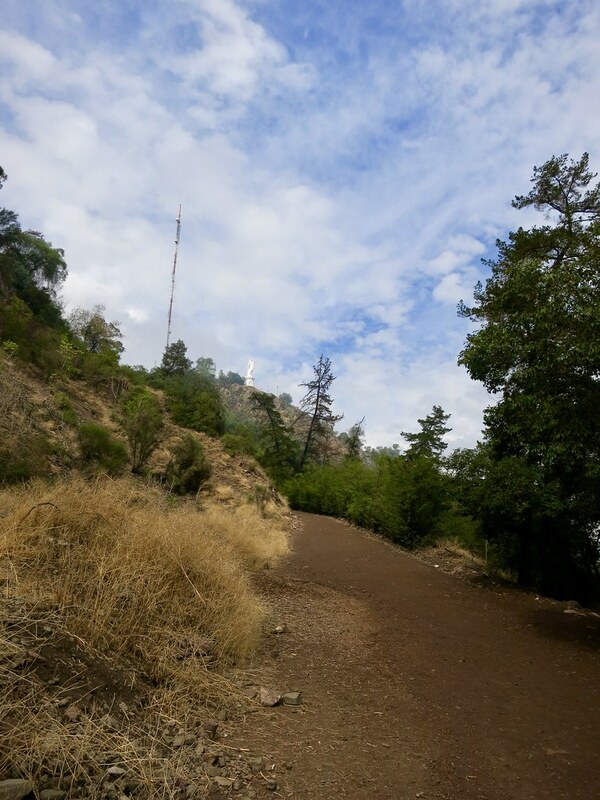 If you choose to hike up, there is a system of trails that lead to the summit more steeply (and quickly) than the paved road. 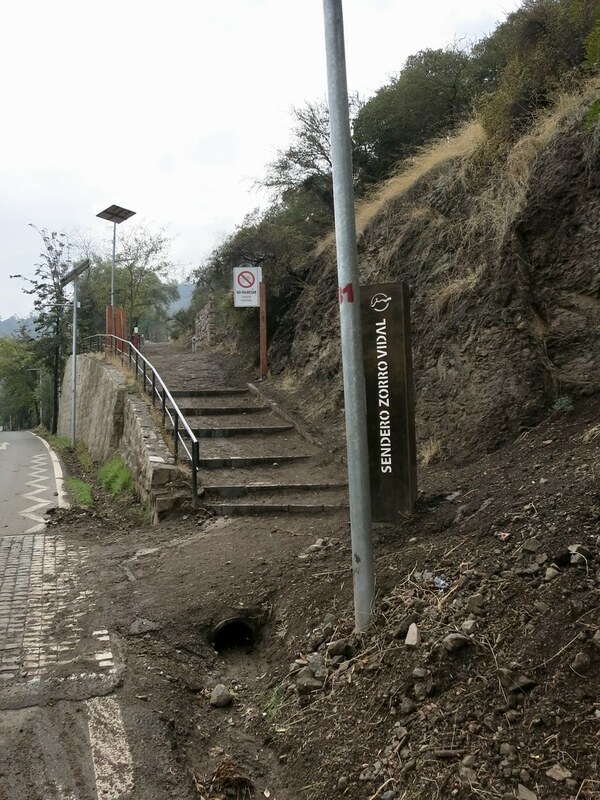 The easiest of these to locate and take is called Zorro Vidal. 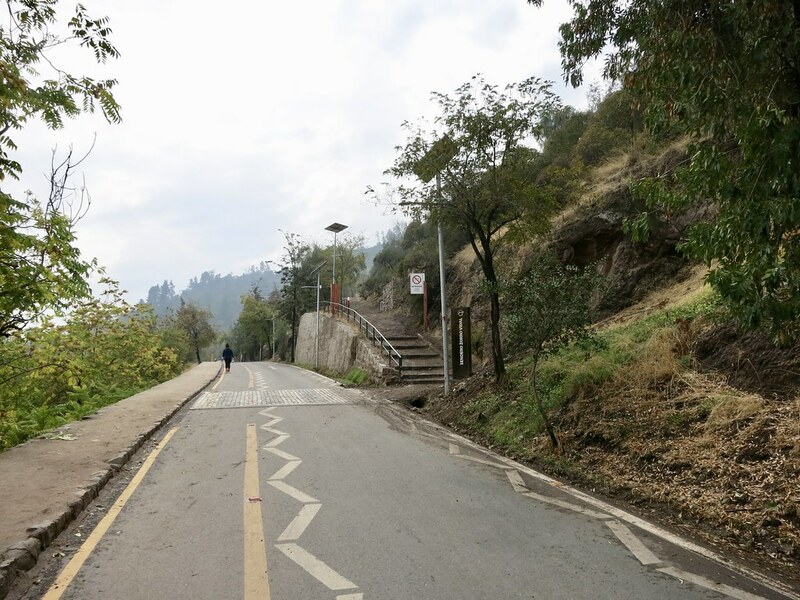 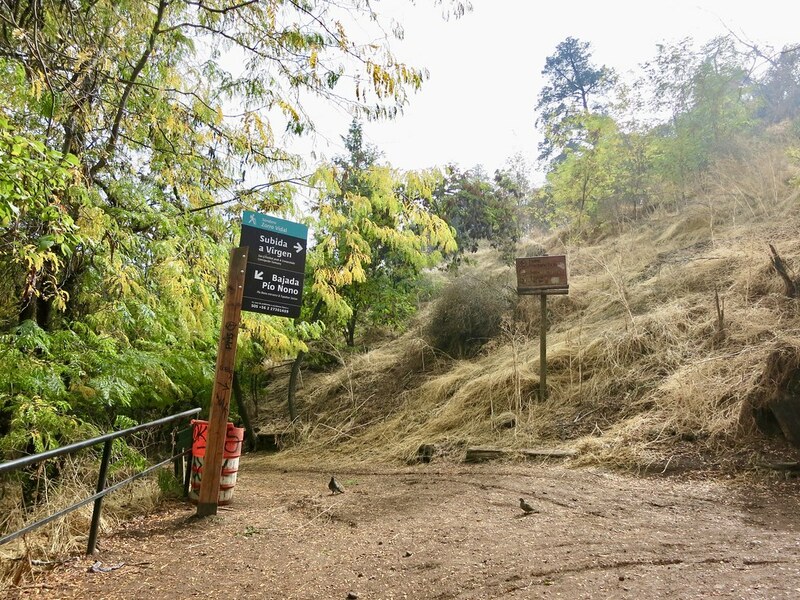 When you enter Santiago Metropolitan Park from Bellavista, walk up the sidewalk on the left of the road for about 5-10 minutes until you see the trailhead across the road on your right. 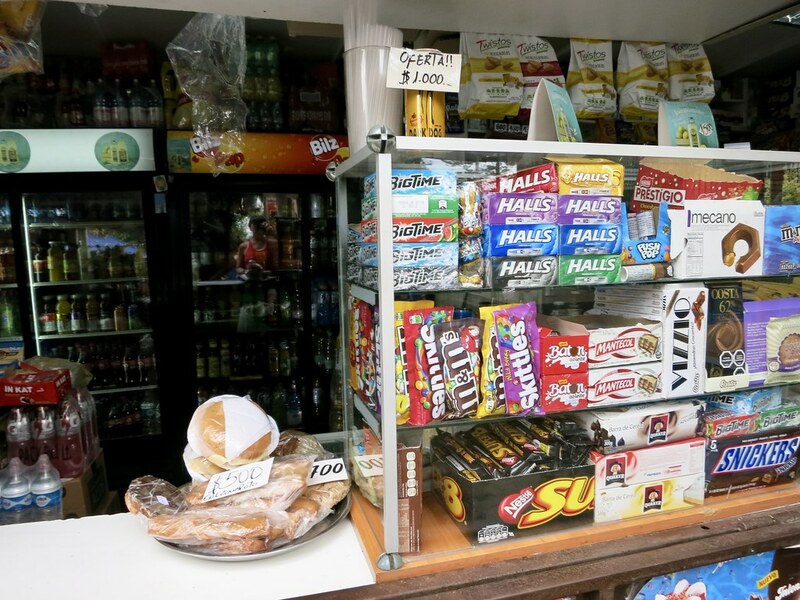 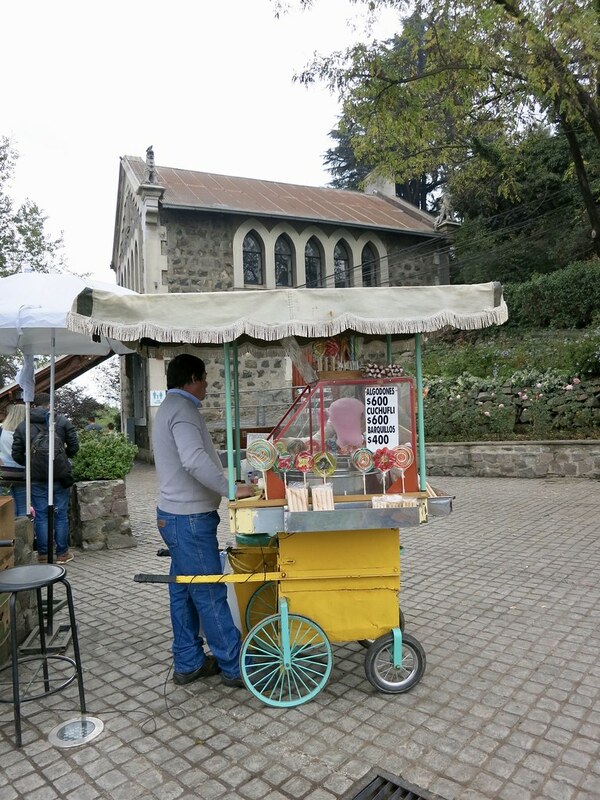 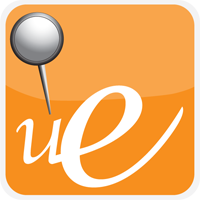 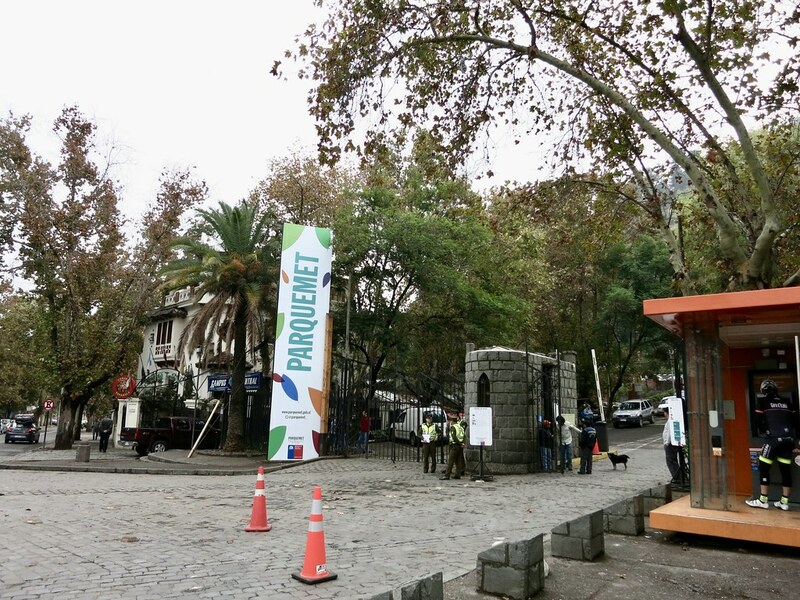 You can also get there by car via the road joining the Santiago Metropolitan Park, or by the Funicular of Santiago. 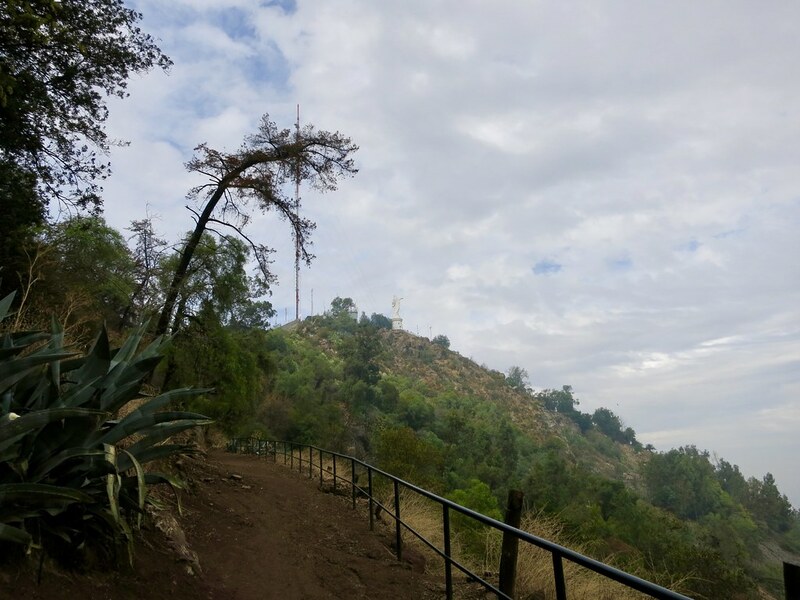 The hike to the top takes about 30-60 minutes, all depending on how fast you walk and how many times you stop to appreciate the view. 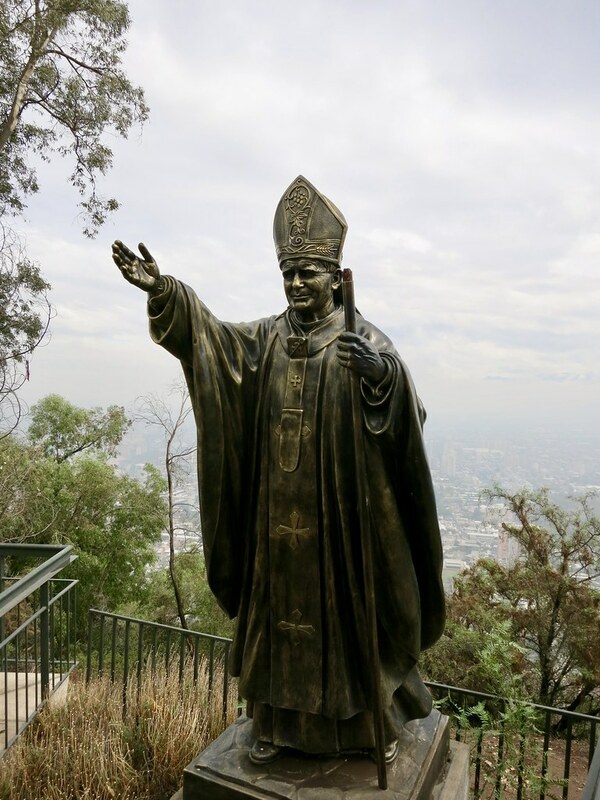 And a small chapel in which Pope John Paul II prayed and blessed the city of Santiago on April 1, 1987. 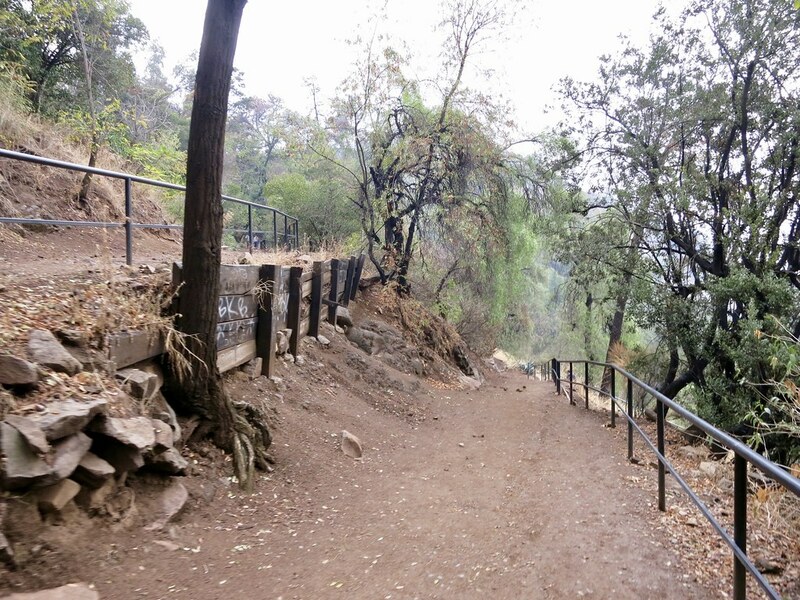 And then started our journey back down the trail. 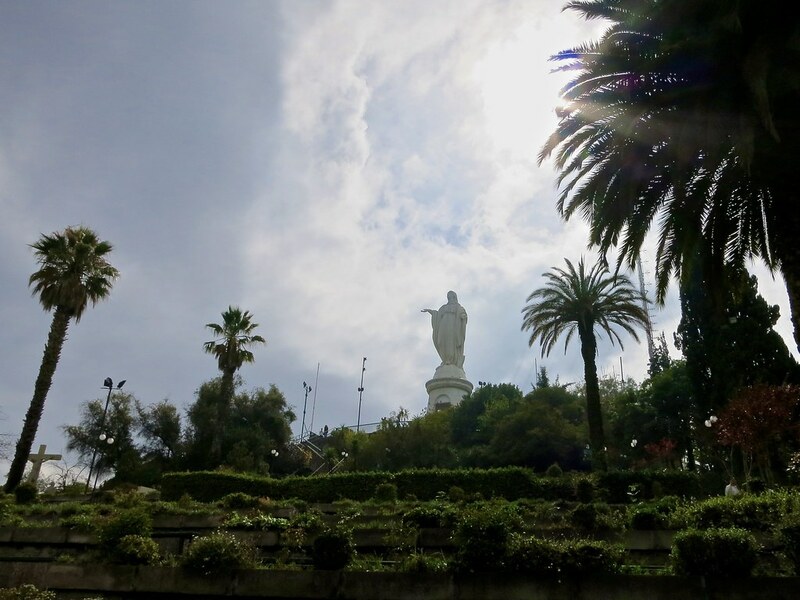 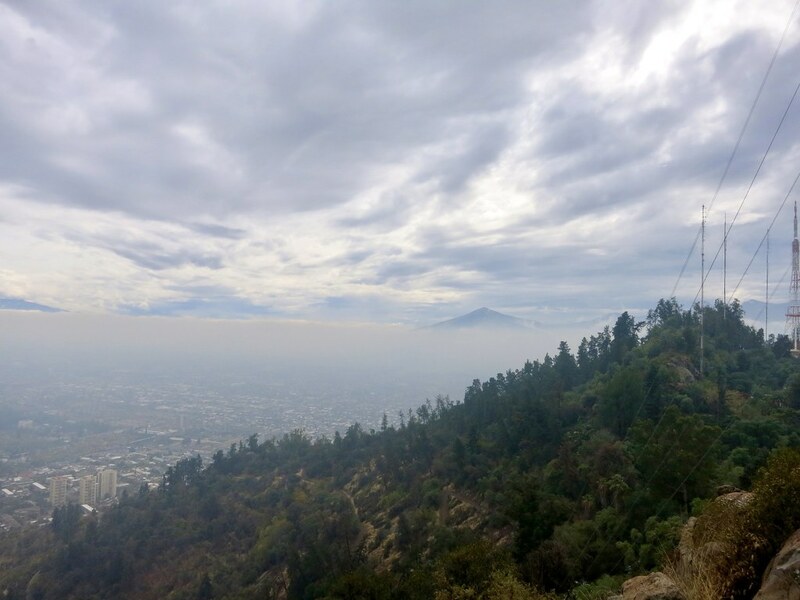 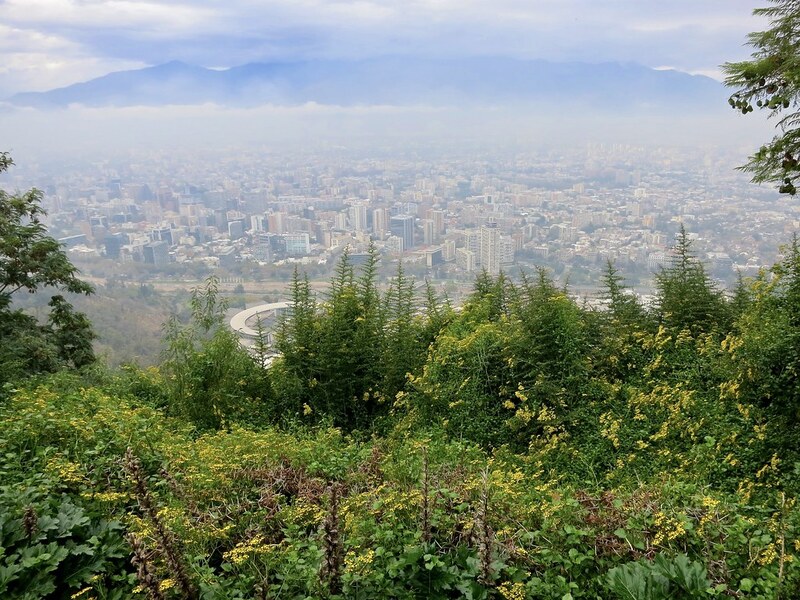 Cerro San Cristóbal is among the top 5 things to do in Santiago, so why not throw on your shoes and take a hike!